Time for another Read Aloud Thursday over at Hope is the Word. This meme presents a chance for you to share books that you have read aloud with your kids with other moms, and collect ideas for your own future reads. To learn more about this meme (and/or to participate in it yourself!) visit Hope is the Word. * Note: Actually RAT is tomorrow but I'm participating in a blog tour tomorrow so I'm posting this a day early this month! As we already documented earlier in the month, my kids and I read C.S. 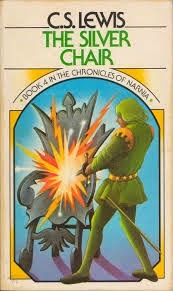 Lewis' The Silver Chair. Click on the title to read our thoughts and experiences in Narnia. 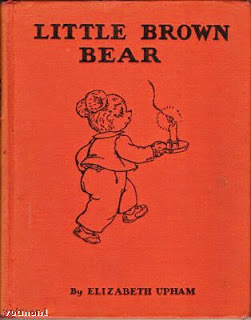 First, we read Little Brown Bear by Elizabeth Upham which was published in 1942. I picked this book up on trade at a local used book store because it looked cute and, sure enough, it was. This book contains many short stories of Little Brown Bear who lives a happy life with Mother and Father Bear. Each story (or "chapter") tells of some adventure Little Brown Bear has in learning to keep his room neat, fooling his father on April Fool's Day, going to the county fair and having a party. Little Brown Bear was created by Elizabeth Upham McWebb. 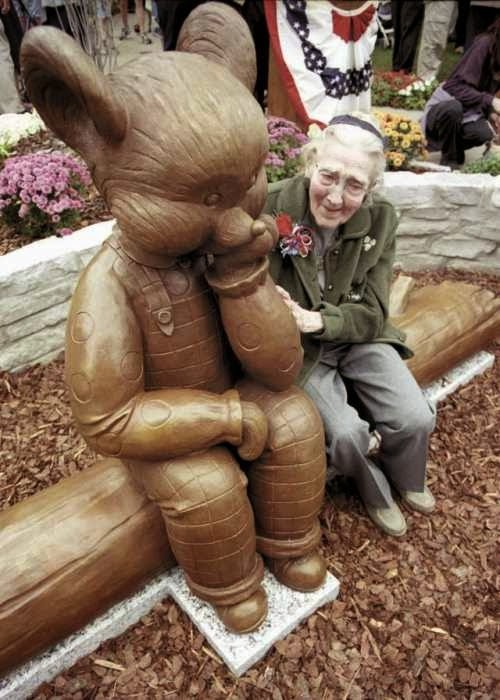 She lived in Michigan and was known for being a friendly conversationalist who was a wonderful story teller. I found this article online which speaks very highly of her, as well as shows us a picture of her with the statue that her hometown erected of her beloved furry character. It was fun to meet him through her book. I understand there are more stories available beyond the ones we read so we'll keep an eye out and see if we can find them. The kids enjoyed the story. Bookworm1 said he enjoyed the entire thing, from start to finish. Several passages made him laugh outloud. 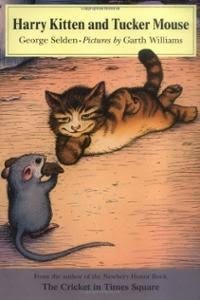 Bookworm2 said he liked the "bad guy rats" and Bookworm3 said that she most decidedly did not like the rats. Personally, my favorite part of the book was when my daughter snuggled up next to me and laid her head on my arm and was silent and cozy as I read. This book could have gone on forever as far as I was concerned. It's been a fun reading month and I'm looking forward to many more read aloud opportunities with my kids in the future. The bear book sounds really sweet. Can you believe I've never read Cricket in Times Square? My girls have listened to the audio, but nope--I've never read it. I'm now on the lookout for Little Brown Bear, though!